Federal officials on Thursday said they are conducting a criminal investigation of allegations that Albuquerque Police Department employees altered and deleted body camera video. 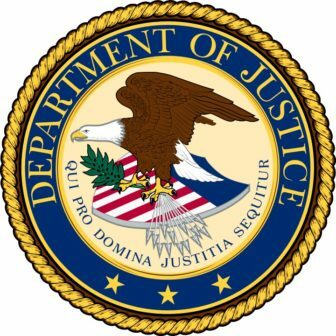 The Department of Justice has received “several requests” seeking a criminal probe, Elizabeth Martinez, a spokeswoman for the U.S. Attorney’s Office in Albuquerque, said in an emailed response to questions from New Mexico In Depth. “The Justice Department will decline to comment further due to its ongoing investigation into this matter,” Martinez wrote in a rare public confirmation of a federal criminal investigation. APD referred a reporter to Mayor Richard Berry’s spokeswoman for comment. She did not immediately respond. District Attorney Kari Brandenburg and the city’s citizen police watchdog group asked for a federal investigation after Reynaldo Chavez, APD’s former records supervisor, accused APD employees and higher-ups in a sworn affidavit of a scheme to alter, delete and leave out of police reports mentions of videos that would be damaging to the department’s reputation. Chavez’s allegations — which included statements that video showing the events surrounding the 2014 fatal shootings of 19-year-old Mary Hawkes and law enforcement informant Jeremy Robertson had been altered or deleted — roiled the city after NMID reported on his affidavit Nov. 18. Chavez said he reviewed copies of the videos from officers’ body cameras and business surveillance cameras provided to Hawkes’ and Robertson’s families and determined they had been altered. Police and city officials have had little to say about the claims from Chavez, who was fired last year. City Attorney Jessica Hernandez told the City Council on Nov. 21 that an initial review of department records showed no wrongdoing. And the department’s spokesman, officer Fred Duran, told KOAT-TV and the Albuquerque Journal that officers do not even have the capability to alter or delete videos. But records obtained and reviewed by NMID suggest that officers have broad powers to change and delete video — and have done so. In a sworn, videotaped deposition, APD Detective Frank Pezzano testified in October that he altered video from officers’ body cameras and other sources such as surveillance cameras, including in the Hawkes shooting case. Also, documents obtained by NMID from a source show that dozens of APD employees, including Pezzano, handled videos inside the cloud from the April 2014 morning when then-officer Jeremy Dear shot Hawkes. The employees watched the videos, made copies of them and, in some cases, edited portions of the footage. It is not clear whether anything described in the deposition or in the video “audit trails” reviewed by NMID constitutes criminal wrongdoing. Neither the deposition nor audit trails definitively answers a host of outstanding questions, including whether original, unedited videos from critical incidents still exist in APD’s system, or whether videos the department has shared with prosecutors examining fatal shootings and other, more mundane cases have been changed. Those and other questions have loomed over APD since last month, when Chavez’s claims spilled into public view. Bending to pressure from a city councilor, Mayor Richard Berry’s administration has agreed to hire an outside investigator for an administrative review of Chavez’s claims. That inquiry is separate from the Justice Department’s criminal investigation. Hernandez told the City Council on Nov. 21 that APD’s system maintained original videos from officers’ body cameras and that a preliminary review she conducted with the department showed no evidence to support Chavez’s claims. NMID’s review of records appears to support Hernandez’s contention that original videos still exist, although the documents do not provide details about whether videos uploaded to the cloud had been altered beforehand. In a brief interview last week, Hernandez would not repeat the claim about original video. And she declined to concede that APD employees have the capability to alter videos. Pezzano, a crime scene investigator who was once assigned as a “forensic video technician,” was named in Chavez’s Oct. 28 affidavit as one of several agency officials who had altered police camera videos. Chavez’s affidavit is part of a public records lawsuit filed against the city of Albuquerque by Hawkes’ family. In his affidavit, Chavez said much of the department’s video altering took place in Evidence.com, a cloud-based video storage system APD purchased along with hundreds of body cameras from Taser International, Inc., in 2013. A user manual details how anyone with system administrator privileges can blur entire videos or portions of them, delete videos wholesale or in part, and remove audio. Three days before Chavez signed his affidavit, the family’s attorneys sat down with Pezzano in Albuquerque for a five-hour deposition as part of a separate civil rights lawsuit the Hawkes’ family has filed. Pezzano did not respond to Chavez’s specific claims during the deposition, which runs to more than 170 pages. Instead, Pezzano described his alteration of the videos as attempts to “clarify” them, according to the deposition. Using a software program called VideoFOCUS Pro, Pezzano sought to enhance surveillance video of Mary Hawkes running through a Southeast Albuquerque carwash minutes before she was fatally shot by Dear. In addition to trying to “clarify” video of Hawkes to show that she was armed, he created several still frames from that video, which were later distributed to the news media, he said in his deposition. Neither the carwash video nor Pezzano’s still frames answers whether Hawkes was carrying a gun. Officers in jobs like Pezzano’s and other APD employees used software outside the Evidence.com system to alter video, according to Pezzano’s deposition. In some cases, that video came directly from officers’ body cameras and other sources, such as surveillance video. Officers also downloaded video from Evidence.com, then used other programs on laptop computers to change those videos. Pezzano said in his deposition that he and others were often ordered by their superiors to review videos from critical incidents such as police shootings for anything “relevant,” then burn portions of the videos onto discs. It is not clear from the deposition what was done with the discs. According to his deposition, Pezzano could not recall whether he was asked to “clarify” any body cameras from the officers who witnessed the shooting or the events surrounding it. APD has not responded to multiple requests by NMID to interview Pezzano. The department has ignored detailed questions about its handling of body camera video. Chavez claimed in his affidavit that video from three witness officers — Daniel Brokaw, Tanner Tixier and Isaac Romero — had been either altered or partially deleted. He also said the Evidence.com system automatically creates an “audit trail” showing who has accessed videos. Audit trails from the Hawkes shooting case obtained by New Mexico In Depth show that Pezzano was one of numerous APD employees who watched the three officers’ videos. The records also show multiple APD employees downloaded copies of those videos. Twelve individuals accessed video from Romero’s camera; 33 performed various functions with Tixier’s; and 42 employees accessed Brokaw’s. The documents show homicide detectives, Internal Affairs investigators and records staffers shared the videos among each other, watched them and made copies. That’s to be expected, given the multiple investigations launched and intense media scrutiny after every police shooting. Officers and civilian employees from numerous other divisions within the department also accessed the videos. For example, the police union vice president accessed video from Tixier’s and Brokaw’s cameras on Oct. 15, 2015 — a year and a half after the Hawkes shooting. The audit trails do not indicate what employees did with copies of the videos they downloaded from Evidence.com. Along with the audit trails, NMID also obtained a log sheet of videos from the Hawkes shooting. Missing from the log sheet were any videos from Dear, the officer who shot Hawkes, and two other officers who either witnessed the shooting or arrived at the scene in its immediate aftermath. Both of those officers have said they believed their cameras were turned on at the time of the shooting, but there is no record of any video from them. A city-commissioned analysis from Taser showed that Dear’s camera was functioning, but APD has said it did not capture video of the shooting. The city fired Chavez last year after temporary employees alleged he and others in the records division harassed them. Chavez says he was fired for raising concerns about how the department handled public records requests, and he has since filed a whistleblower lawsuit against the city. NMID will update this story if the city responds to a request for comment. District attorneys from around New Mexico are working on a statewide policy for investigating and prosecuting shootings by law enforcement, Andrew Oxford reports in today’s Santa Fe New Mexican. It’s the second action taken by public officials since the Santa Fe New Mexican and New Mexico In Depth published a story that examined the challenges inherent in investigating and prosecuting fatal law enforcement shootings.